In the data center world there are several metrics related to “up time”. You hear terms like SLA (“Service Level Agreement”) that define how many hours out of 100,000 that the servers are guaranteed to be up and running. Data center people like to talk about SLAs that are “4-9s” or “5-9s”. “4-9s” would be 0.9999…or the servers will be up 99.99% of the time. 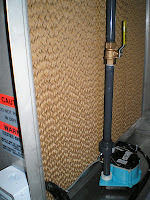 There are a couple of other metrics that are directly related to the cooling equipment. One is MTBF or “Mean Time Between Failures”. Another is MTTR or “Mean Time to Repair”. A third metric is the most meaningful and it is “Availability”. “Availability” is a measure of how many hours out of 100,000 that the system will be available when you consider MTBF, MTTR, and routine service. Since the routine maintenance “Availability” is one that can be planned in a way that will not disrupt the overall “Availability” of an N 1 ,or better, facility it really doesn’t matter that it is only “3-9s”. In the cases where a failure might occur (MTBF cases) the typical Aztec product is “4-9s” across the board. The Aztec indirect evaporative cooling unit can achieve these high levels of "availability" due to the inherent simplicity of a typical evaporative cooling system. Fans and pumps are considered to be the only significant components in an evaporative cooling system that can fail. In the case of the Aztec product these components are selected for an expected life of 200,000 hours...probably far longer than the building itself will be used for its original purpose. A final consideration that was reviewed during this analysis was the skill level required for each repair or maintenance task. Although this factor cannot be included in a typical metric such as MTTR it is an important factor for the building owner to consider. 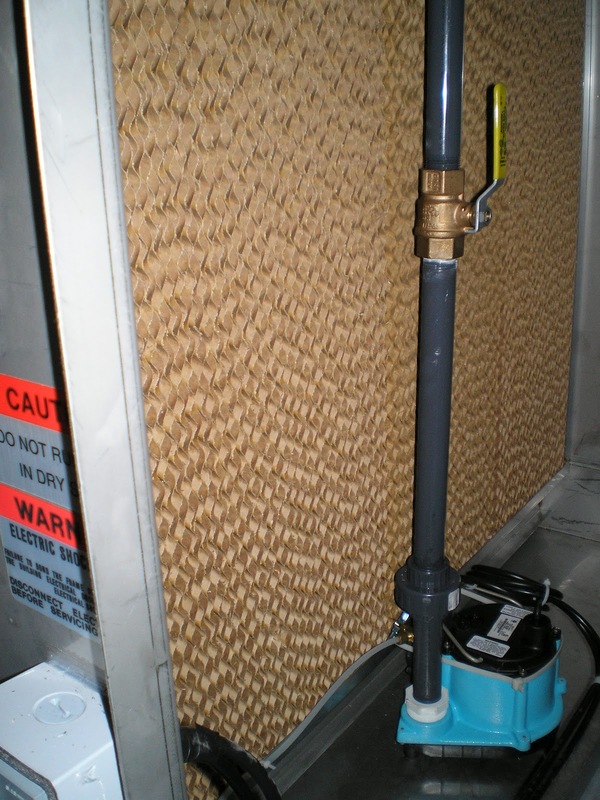 Since an evaporative cooling unit such as the Aztec unit contains no refrigerants the vast majority of tasks can be accomplished by what would traditionally be called facilities maintenance personnel. No special licensing would be required. It actually turns out that some of the smallest elements of the system are the only ones that might require a licensed service technician. Replacing contactors and relays in the unit control and power circuits would most likely require a licensed electrical service technician. In general the "availability" of an evaporative cooling system, such as the Aztec system, will be at least as high as any competing technology and, likely, higher.